This error is thrown when the old version of M2Eclipse Plugin (previous than 1.5.0) encounters a “var” in the .classpath file especially when an mvn eclipse:eclipse command has been run on the project. Go back to Eclipse and enable the Maven nature of your project by right-click -> Configure -> Convert to Maven project. You may need to refresh your project (Right-click refresh or F5). 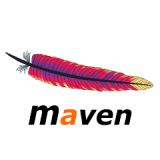 The “Unsupported IClasspathEntry kind=4” Maven error will disappear.